The first Leaf product in several years to focus solely on tennis, 2015 Leaf Ultimate Tennis brings the foil-enhanced brand to the grass and clay courts. 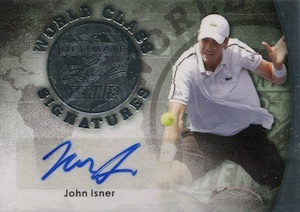 Featuring five autographs per box, the hit-only release features top players of past and present. 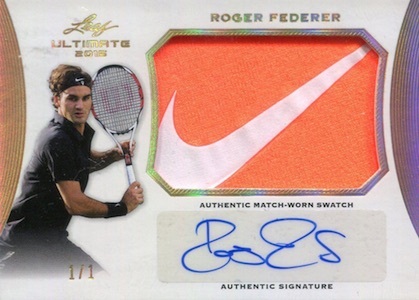 Headlining the checklist, Roger Federer and Andy Murray autographs average one or more per case. Also, the release features licensed rookie cards for Murray along with Sloane Stephens, Petra Kvitova and others. Base Autographs are the primary option and showcase the same basic design as the recent football and baseball products under the Leaf Ultimate banner. Building on the base autograph set, a variety of parallels can be found, with print runs as low as one-of-one. The remainder of the options feature a variety of inserts that all utilize a horizontal layout. Celebrating the players who saw success at the most notable tennis events, Big Finish Autographs stand out with a gold-foil crest. 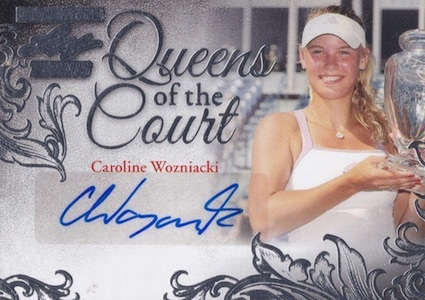 Looking at the elite female options, Queens of the Court Autographs include subjects such as Sloane Stephens and Anna Kournikova, while World Class Signatures identifies the global talent of the sport. Lastly, Match-Worn Autographs add a large swatch of memorabilia in a match alongside a sticker autograph. Each of the inserts can also be found in various parallel tiers. Similar to the other Ultimate products, Ultimate Tennis is a limited release with only 195 cases produced. 2015 Leaf Ultimate Tennis Nick Kyrgios RC Rookie Auto #d 1 1 Holy Grail! The best 2 boxes I have opened in the last 2 years. Got the Federer 7/10 Kyrgios 3/5 a Navratilova a Pospisil shoe with auto and a Vesnina Printing plate. Also a Fish and a Vandeweghe. I very rarely buy more boxes of the same product after my initial buy, but Im defiantly getting some more of this gonna have to chase the Murray. Great Job Leaf Tennis is back.